The chilling, little-known story of the rise of Nazism in Los Angeles, and the Jewish leaders and spies they recruited who stopped it. No American city was more important to the Nazis than Los Angeles, home to Hollywood, the greatest propaganda machine in the world. The Nazis plotted to kill the city’s Jews and to sabotage the nation’s military installations: plans existed for hanging twenty prominent Hollywood figures such as Al Jolson, Charlie Chaplin, and Samuel Goldwyn; for driving through Boyle Heights and machine-gunning as many Jews as possible; and for blowing up defense installations and seizing munitions from National Guard armories along the Pacific Coast. U.S. law enforcement agencies were not paying close attention--preferring to monitor Reds rather than Nazis--and only Leon Lewis and his daring ring of spies stood in the way. From 1933 until the end of World War II, attorney Leon Lewis, the man Nazis would come to call "the most dangerous Jew in Los Angeles," ran a spy operation comprised of military veterans and their wives who infiltrated every Nazi and fascist group in Los Angeles. Often rising to leadership positions, this daring ring of spies uncovered and foiled the Nazi’s disturbing plans for death and destruction. 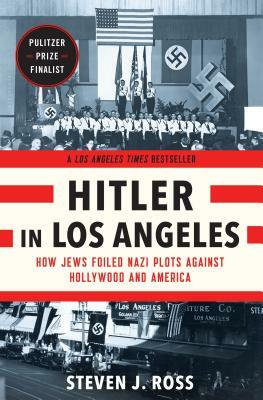 Featuring a large cast of Nazis, undercover agents, and colorful supporting players, Hitler in Los Angeles, by acclaimed historian Steven J. Ross, tells the story of Lewis’s daring spy network in a time when hate groups had moved from the margins to the mainstream.